How can CICA benefit you? Be part of a unique worldwide forum of Corporate Construction Experts, where global business collectively provides input into intergovernmental discussions and negotiations. Influence the shaping of CICA policy recommendations, rules and codes. Take the opportunity of being directly informed of the new developments regarding the Construction Industry all over the world. Strengthen international coordination of business messages vis-à-vis governmental and intergovernmental top level interlocutors, avoid overlaps and duplication, identify crosscutting issues and approach them from a horizontal business perspective. Broaden the reach of your own organization’s policy advocacy, strengthen your international influence at worldwide top level, and work with like-minded business representatives from all over the world on global issues of mutual interest. Provide input into intergovernmental processes through CICA’s top-level consultative status with the long-standing working relationship with key intergovernmental organizations and International Financial Institutions. Obtain the latest intelligence and private sector perspectives on key global policy issues for world construction business. Develop your own network with key players. Have opportunities to participate in key CICA Events and CICA delegations. CICA Members have to adhere to ethics and good governance of CICA principles. All related industries to the Construction Field: Equipment Manufacturers, Materials & Additives, Producers, all related dealers. Systematically invited to special CICA events and external meetings, subject to availability. Be offered to participate, when possible, in special CICA approaches to leading representatives of the International Financial Institutions, International Monetary Fund, United Nations, Special Government Agencies, etc. A status of “Members of CICA” was recently set up for Companies. 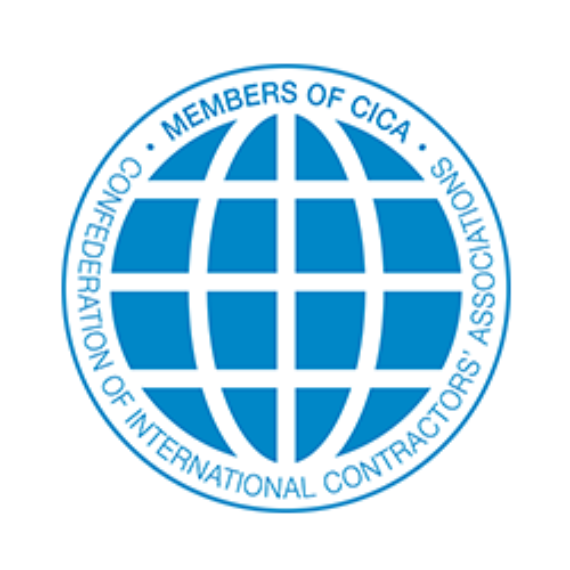 The Members of CICA have a number of significant advantages. They will be able to attend CICA Council Meetings and will be encouraged to participate in specific CICA contacts with leading representatives of International Financial Institutions, of the United Nations, special government agencies, and more.